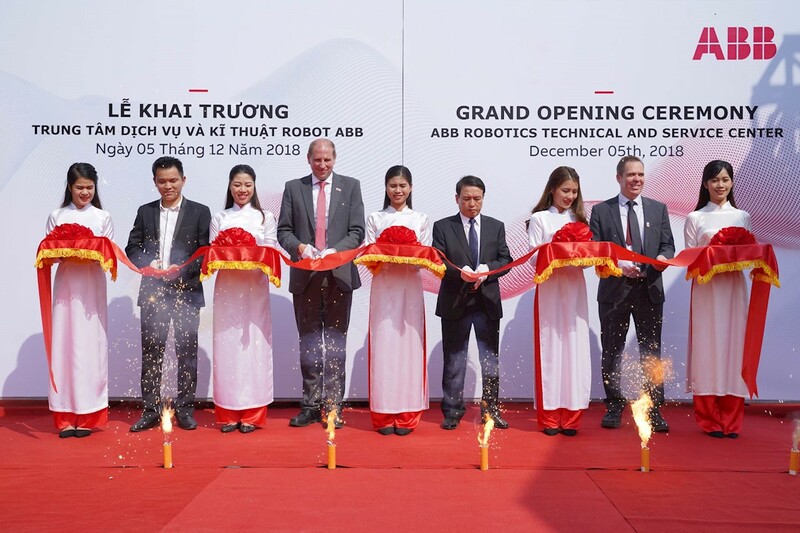 ABB today inaugurated its Robotics Technical and Service Center with an aim to serve global and local manufacturers operating in the northern region of Vietnam. 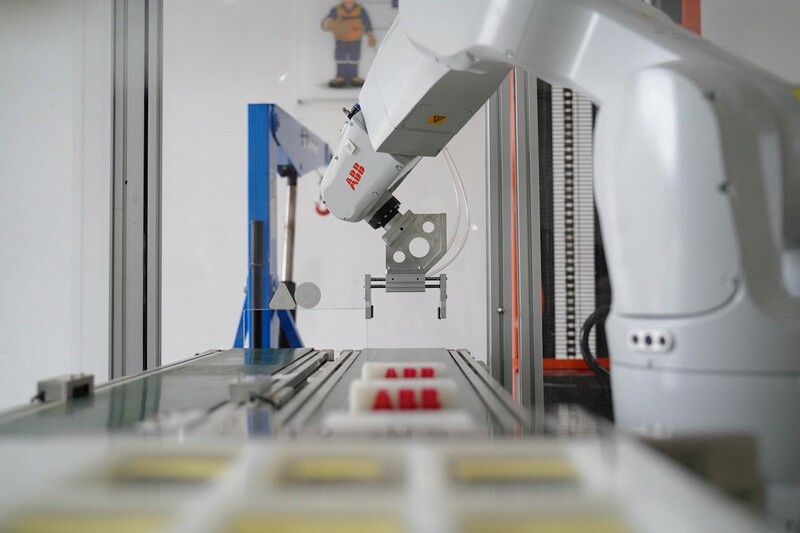 The center will act as a bridge connecting customers’ manufacturing goals with ABB’s global domain expertise, cutting-edge robotics technologies and strong local service team capabilities. Located within the premises of the Viglacera Vocational College at Yen Phong Industrial Park in BacNinh province, the first-of-its-kind center in Vietnam has an area of approximately 500 square meters housing four main areas. A service workshop will offer a full package of repair, maintenance, overhaul and refurbishment to robots with a five-ton overhead crane running along the workshop’s length. To support the workshop, a warehouse will store spare parts to support round-the-clock operations together with a demo and robot application solution development space and an office area. The spacious demo area will feature a product showcase including the IRB6700 and IRB1200 industrial robots integrated with conveyor tracking and vision inspection. With a fast growing economy and young population, Vietnam is shifting to a global manufacturing base. Although the need for robots is estimated to reach a million in 2020, most local industrial production firms are still lagging behind, with 61 percent of enterprises still untouched by Industry 4.0 and 21 percent just having started preparatory activities, according to a recent survey by Ministry of Industry and Trade. Meanwhile, while striving to gain knowledge on new manufacturing technologies, businesses are facing a shortage of digital skilled workforce. 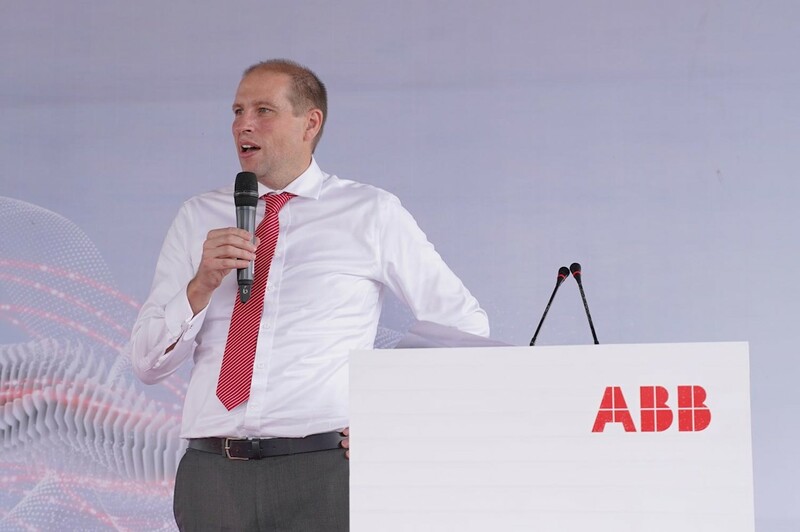 ABB’s Robotics Technical & Service Center in Bac Ninh will support customers for not only in implementing projects but also in facilitating adoption of advanced technologies in their plants. Employing a pool of around 30 engineers experienced in robotics technologies, the facility will develop robotics solutions to address users’ specific needs through ABB Connected Services which features a wide range of Industry 4.0 compatible portfolios such as conditioning monitoring & diagnostics, fleet assessment, asset optimization, and back-up management. This will also ensure faster reaction time, higher efficiency and better service technician preparation for on-site calls and support, ultimately helping to keep robot systems running at optimal performance. In the near future, the ABB Robotics Technical and Service Center will serve as a training facility to help lecturers and students of engineering universities to gain hands-on experience of advanced robotics technologies. ABB’s robots are widely used in Vietnam’s industries such as automotive, electronics, animal feed, food and beverage, chemicals, metal and brick fabrication. The company recently supplied thousands of robots to an electronics manufacturer and to VinFast - the first Vietnamese electric automobile maker. ABB started its operations in the country in 1993. In the 25 years since, it has grown to be a reliable partner in the field of technology, providing turnkey solutions and services in the market. In addition, ABB facilities manufacture transformers, high voltage components and medium voltage power products for customers across the globe. It employs some 900 employees across Hanoi, BacNinh, Danang and Ho Chi Minh.